today’s giveaway is from the lovely Shabby Apple online store. a $50 store gift certificate is up for grabs and the coupon code: frommygreydesk10off is valid for 10% off your order for the next month! 2. leave a comment here telling me what you’d choose with the gift certificate! *you must use the giveaway tool below for eligible entries! I would totally buy the Bandersnatch Skirt, I love maxi skirts! I would love to buy a skirt… too many to choose just one! I would buy the desert blossom dress. It is a great color and I could definitely wear it to work! I absolutely adore the Alice dress! So soft & feminine! I actually LOVE the Bezelled Pendant Necklace (in red) that you featured above. I would wear that sucker all the time! I would probably buy one their darling retro swim suits! I am a new mom with a few strech marks I'm not exactly excited to show of in a bikini, but one pieces are so boring!! I would LOVE one of Shabby Apple's!! I would love to put the $ towards the Serenade maxi dress. It is the perfect maxi for people who like sleeves on their dresses! I would love to try their Maternity Clothes! Any type of maxi skirt! I love Shabby Apple and I am craving new skirts! Oh man everything is so cute! I really loved the Francine pencil skirt, I could totally wear it all the time. 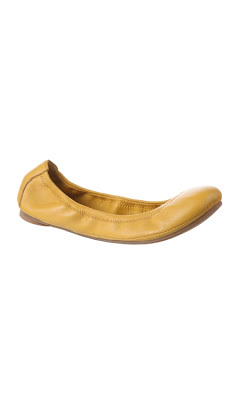 Those mustard yellow flats are real dreamy.. I love the dreamer boot! I'd probably grab a necklace! I've been looking for something like the ones pictured above…simple, yet classic! In LOVE with that green pencil skirt with the bow!! I would get the bon voyage dress! I totally could use some new clothes! those necklaces are so pretty! but i may go with the gold fill champagne earrings! I love the pencil skirts! SO unique and pretty! Perfect for a little flair at the office. I love the Golden Afternoon pink lace dress and Botanical Belle earrings! 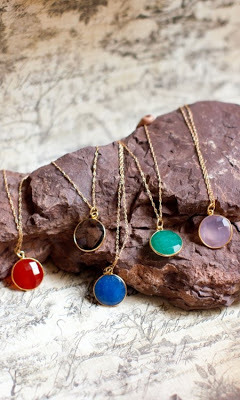 I love the Kai necklace – what a great color! I would put it towards the Humboldt Current Skirt, Well Traveled Belt. Or possibly the Abloom wedges. Or the With Honors dress. Too many choices, that's for sure. 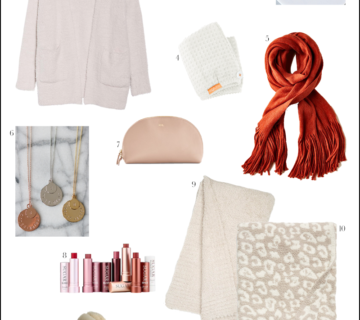 as one of my absolute favorite and swoon-worthy sites, picking a favorite item would be just impossible. i adore the vintage and lady-like feel of their dresses and swimwear and LOVE their workout wear as well! I would have to get the "Heart of Me" dress! It's so 1950's and wonderful! It looks like something that would be on "Mad Men"
I would def order one of their swim suits!!! So amazing! One of the cute retro bathing suits!! I am drooling over the teal ribbon falls dress!! 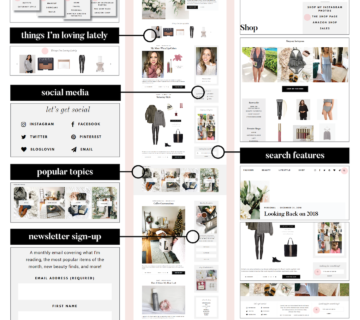 I love Shabby Apple, it's one of my favorite online shops! I have been dying to get the Ahoy Dress in Turquoise! Love it! I am loving the Desert Modern dress in the Twin Palms collection. It looks so chic and comfy at the same time! I would love the A + dress! It looks so cute! I am studying to be a teacher, and it looks like the perfect teacher dress! I love the Kai necklace! So beautiful and great pop of color for any outfit! I would buy the Francine skirt. The bow is so cute and it would be perfect for work! I've been eye-ing the Puca Pucara dress! I would want it all! It would be a hard decision! I would buy the Joyride polka dot dress, it's darling…and on sale!! I adore their retro bathing suits right now, definitely would get one of those! I really like the Tees (Chatham) in the Lighthouse collection! Oh my gosh I love that swimsuit with the sash!! SO cute! I LOVE Shabby Apple! Their swimsuits are amazing, but I'm obsessed with the Twin Palms collection of dresses. I'm totally feeling "Yellow Days" right now. I love alot of the dresses, but the one that caught my eye is the Ballerina, looks soooo comfy! Oh my gosh that is right up my style alley super cute! I need the shoes and the pendant and that skirt!!! I would spend the money on either a swimsuit or some of their incredibly beautiful accessories. Talk about amazing giveaway! Thank you! I would totally get a new swimsuit. Their latest collection is so cute! I'm loving all the dresses in the "Oh La La" category but my favorite in the Champs Elysee dress – such a classic! The Francine pencils skirt! So perfect for work! The pendant necklace! I'm pregnant right now, so I don't think I would be happy having to wait to wear the clothes! I LOVE the CEO dress. I would get the Bronze Organza Necklace. I love the bezeled pendant necklaces! So hard to choose, but most likely a dress and necklace for work!! the roamin holiday bellissima is what I'd want! I love the Twin Palms or Rhapsody dress…or any of them 🙂 All so great. My style has changed so much over my first year of college, and I just cleaned out my closet…ohh my. I have almost nothing! I've been drooling over the Bandersnatch skirt, pleated maxis are so versatile. The Co-ed is so classy and a great staple piece, and the entire sale rack? Everything there is fabulous! I would have such a problem deciding! I would get the Francine skirt and maybe some earrings. What a fabulous shop! This is bad news for my bank account…. I would loooove the Notte Stella suit for my beach trip in July! Rhapsody dress in green. I love dresses like that! I'd buy those coolio flats! I would totally buy the Danty Doll kitten heels or the Tilly heels! So cute! I love the Highland Light dress! Thank you so much for offering such a fun and generous giveaway. Those flats are terrific! I'd get those. I'd buy a necklace or a pretty dress. I woullove to buy the sacred falls blue dress esp. for since in my birthday is coming up soon! I'd buy the bathing suit, finally a flattering one piece!! I love the Bezeled Pendant Necklace in Jade. Gorgeous. I'd put my $50 towards that, definitely! The "Desert Lovely" dress is so chic! I love! I'm obsessed with the Andes skirt!! Great giveaway — I love Shabby Apple! I love Shabby Apple! I've had my eye on the stardust and the sweet spot swimsuits for a while now, so I would probably go with those. On the other hand I love the humboldt current skirt and it's on sale! Well it would be a gift for my wife, but I am partial to the Beverly Hills dress. She would look stunning. I'd probably buy the Burnt Orange Pleated Scholar skirt…and I love the Maraschino bathing suit and, well many other things! Love Shabby Apple! I would definitely go for a new summer skirt or dress… or maybe some jewelry! There's no way I'd be brave enough to buy it without the gift card, but there's a white dress called the Matinee dress. I think that would look uber chic for parent teacher conferences. Hmmm… I'll be pinning that dress just in case I win! I want the swimsuit! May be the push I need to lose the baby weight! I love the Mad Hatter collection, but I think I NEED the TIBER dress! One of those beautiful pencil skirts! I would get the francine bow black pencil skirt. Or theL&D GREEN TOURMALINE pp. That dress is so adorable!!! With hair in a braid/messy bun! I love the Happy Talk dress in yellow. It's so cute and so me. I would love some new ballet flats! I would by the Bistro Blouse I love the color it would be a perfect staple to my wardrobe. I am currently crushing on the serenade dress! It is so HARD to pick just one thing! I would buy either the cusco skirt or the palatine hill dress! I would buy a dress for my brother's rehearsal dinner! I would get the I'm Late, I'm Late dress. So cute! Thanks for the giveaway! Oooo it would be between the Block Party dress, Desert Modern or Joyride… they are all stunning! In love with their navy retro swimsuit!! I would buy any of their dresses, they are all incredible! I love the greenish/blueish color of the Kai necklace! Oooh.. I love the L.A. dress. Very sleek! A super cute swim suit! I'd spend it on the Calooh callay dress! I would love the Honey bee necklace! I would love to own the Study Break dress! I would get a cute skirt and top! Love love lovin the necklace! Hmm what to wear it with …. Oh so much!!! I love the Hyannis Skirt! I would get some pretty jewelry or blouses. Thanks for the giveaway. Jewelry! You can never have too much! I love the White Queen top! So cute! I would buy the Summer Break Skirt – perfect for my sister's rehearsal dinner! I would spend it on the Joyride polka dot dress! I love so many other things as well but this would be great for work! I love the yellow blouse…actually I love it all! I really love the Summer wind dress ! Perfect color and shape ! I desperately need accessories and tops so one or the other (or both)! i'm a sucker for jewels! a new bump friendly dress. I absolutely love the bright orange cockeyed optimist dress!!! I would definitely go for a new suit! It's all so pretty. Maybe the Happy Talk dress. I'd go for the I'm Late! I'm Late! dress. I adore the Matinee Dress – it's so chic! I love Shabby Apple!! I think I would buy the Race Point skirt…it is so hard to choose!!! I would probably get the caterpillar skirt. I love the Francine Skirt! So cute. I'd love some new skirts! Oh it would be a tough choice between the coolio flats and the bezeled pendant necklace. What an awesome giveaway! Pendant necklaces!!! One in every color!! Since I would not fit into the adorable clothes (yet) I would stock up on cute accories. i want a new swim suit so bad!! love their styles! Love the mint The Alice dress! Those bezeled pendant necklaces definitely caught my eye. I think I'd get one of those! I would buy the L.A. dress! Use it towards the dress rodeo drive! There are too many things to choose from, probably a swimming suit though. I NEED a new one pretty bad! Earrings, probably the Dakota pair! I looooove that yellow top you featured. I've been eyeing it for weeks now! I would buy some of those adorable necklaces featured above. The colors are to die for! I would love a cute new dress! I love the blue and yellow dress- but wouldn't look as good as her. But I'd defintely get the green pendant!!! too many things to love! but i'd love the bezeled pendant necklace!!! I'd almost definitely get the Queen of Hearts dress for my little girl! I love, Love, LOVE Shabby Apple!! They are a fabulous company. We're expecting our first in November so I'd put this towards one of their maternity dresses. we have a few weddings this summer and I think the blue and white wonderland dress would be a perfect fit! I love the polka dot bathing suit! So sassy.